Not surprising: Usher and his wife Tameka Foster are getting divorced. Surprising: Usher and Tameka have not lived together in a year. I’m rarely taken aback by a Hollywood divorce, but learning that the R&B star and his soon to be ex-wife have been living separately for a year caught me a bit off guard. It started like a fairytale. About 200 people attended Usher and Tameka’s wedding in August 2007 just outside of Atlanta, Georgia, at a 3,500 acre resort built in the style of a 16th-century-style French chateau. A year later, the blushing bride and groom stopped living together and began to lead separate lives. It ended like a tragedy. Hmmm…….sounds a little like Mrs. Raymond may have been stepping out on Mr. Raymond. 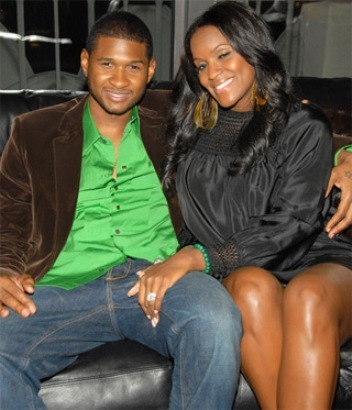 Usher and Tameka have two children together – Usher Raymond V, age 21 months, and Naviyd Ely, age 6 months. Tameka Foster also has three sons from a previous relationship. 50 queries in 0.861 seconds.